B&N is using a new method for generating its encryption keys. I can’t yet tell you what the new method is (it looks to be random), but I can report that the actual DRM has not changed, just the method for generating the encryption key. B&N has blocked NOOKstudy to download ebook, but there is new way to fetch DRM key from B&N server, so we can remove NOOK DRM again. user must download and install B&N app NOOK for PC, download ebook in NOOK for PC, run our converter and input B&N email / password, it fetch DRM key from B&N server, Remove ebook DRM protection. 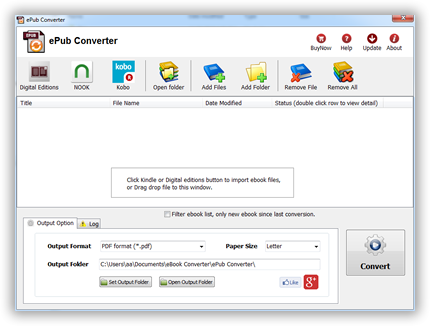 All our converters support this new feature, include epub drm removal, NOOK drm removal, ebook drm removal bundle, epub converter, ebook converter bundle. If you want to protect your ebooks from B&N’s future bungling by removing the DRM, you’ll need to download, install, and activate NookStudy. You have to use it to download Nook ebooks. After you’ve downloaded a Nook ebook, NookStudy will have a copy of the new encryption key. Our NOOK DRM Removal has support NOOKStudy DRM key, it remove drm without inputing credit card no. How to remove NOOK ebook DRM ? 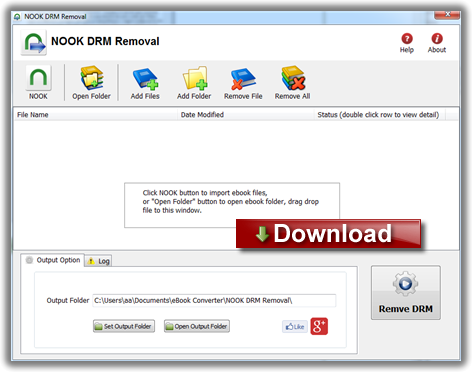 NOOK DRM Removal is powerful tools to remove NOOK ebook DRM, it support nookstudy ebook file, NOOK for Pc not support anymore. You can find the key in one of NookStudy’s log files, and get this: NookStudy stores the key in plain text. B&N may lock up the Nook ebooks you buy but they also literally hand you the key so you can extract the ebooks and strip the DRM. I know that the concept of DRM is flawed due to the fact that the end user has to be able to decrypt the DRMed content, but this is the first time that I have ever encountered a company giving me the encryption key in plain text.